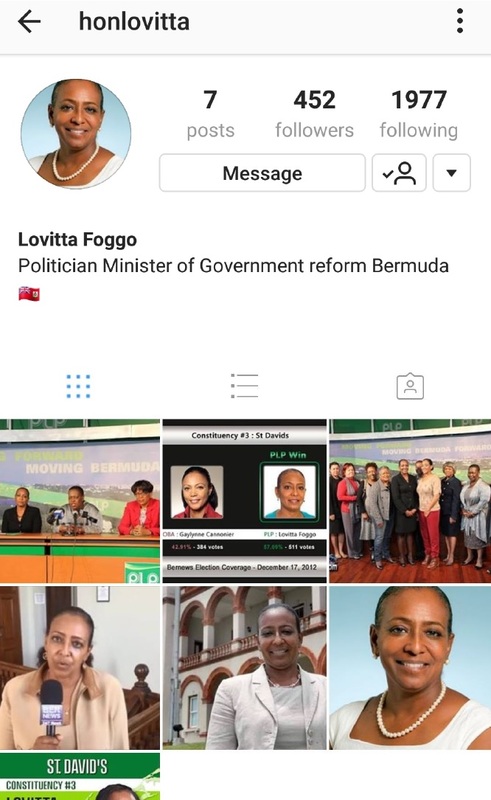 “Today, the Government confirmed that the Minister of the Cabinet Office with Responsibility for Government Reform, Lovitta Foggo, has become a victim of one of these fake social media accounts,” a spokesperson said. “To ensure authenticity of a social media account of a public figure, the public is advised that they should be able to see a “blue badge” or “blue check” next to that public figure’s name. As Bernews previously reported, there was also a fake Instagram account created in the name of Premier David Burt, with the account sending out ‘spammy’ direct messages on the social network. They cant get over 24-12. “They” could be an interesting discovery. When I first read it I did not have my glasses on and thought she had been exposed. Got a bus to catch gotta run. Nobody in the OBA cares enough to do this, you are looking in the wrong place. You mean the oba/UBP. You trolls should buy a new leader to lead the 12 seat party of less. most likely it is a fishing attack.